You're gonna think I'm an alien if I told you I'm not really a chocolate person. I'll eat them in bowl of mint chocolate ice cream or something but that's because I'll eating anything in ice cream. It just doesn't mix well with my body on its own. 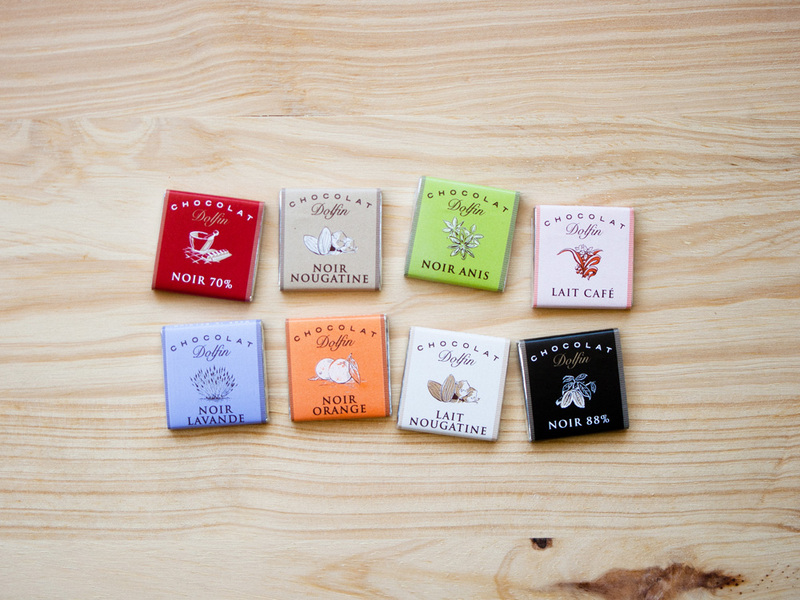 But you see, I couldn't resist buying these pretty Belgian chocolat pieces from Dolfin. I saw them on the counter at a wine shop so I grabbed a handful right before paying for a bottle of riesling. These are going straight into my heartmate's mouth or Beatrice's belly if she gets to them first. Those crazy little ones. I hope everyone had a yummy Thanksgiving. We kinda cheated and ate at a restaurant, at a dumpling house which was still very fulfilling. And this weekend, I'm packing up the place so we can move out by Wednesday. I can't believe how quick this is all happening. Lastly, I just wanna say thank you for taking the time to read Old Brand New. I'm thankful to be part of this extremely supportive and creative community. Much love. Have a wonderful weekend, everybody!